More and more people are traveling for the Thanksgiving holiday. According to AAA’s Travel Forecast, “The 2018 holiday weekend will see the highest Thanksgiving travel volume in more than a dozen years.” While the increase in travel may not be a surprising trend, the way people are traveling certainly is. More and more people are taking their holiday vacations on the road in an RV, making RV resorts and campgrounds across the country their destination for Thanksgiving. These trendy vacationers are opting for a more unique, economical, and family-friendly Thanksgiving vacation, focusing on affordability and a fun, intimate experience, and enjoying all the freedom that comes with traveling in an RV. 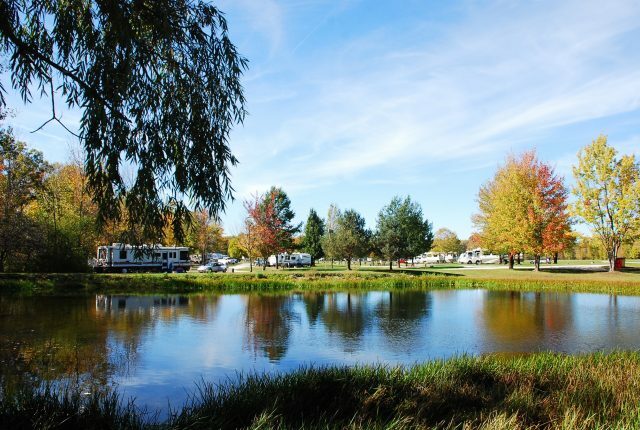 This trend is evident to the camping pros at Thousand Trails & Encore RV resorts and campgrounds, which provide outdoor recreation enthusiasts opportunities to enjoy top vacation destinations around the country. The company reports a strong uptick in reservations made for the annual holiday weekend for each of the past four years. In fact, Thanksgiving weekend reservations for 2018 are on pace to see an increase of 38% over last year, and more than 50% over 2015. Adding to this trend is not only the increase in RV sales (according to the RV Industry Association, RV industry shipments are predicted to reach their ninth straight years of growth), but these days it’s not necessary to buy an RV in order to experience the ultimate road trip. Adventure seekers can rent an RV from one of several national providers, including one that works like the “Airbnb” of RVs. Mighway is an innovative RV sharing platform that connects RV owners with travelers. RV owners can rent their RV to someone and collect some revenue rather than letting the vehicle sit unused in their driveway. To make spending Thanksgiving in an RV easier than ever before, Thousand Trails & Encore have partnered with Mighway to offer two free nights at any of their locations when you book your RV by November 30th.